Based on a true story, AIRPORT INSECURITY is the quirky, entertaining, Kafkaesque tale of an Indian techie stuck at Frankfurt Airport without a passport, visa, or mobile phone. Over forty-eight hours in the airport lounge, he encounters a diverse cast of characters while navigating a bureaucratic labyrinth. The resolution of his troubles surprises everyone, even him. AIRPORT INSECURITY is the first of four productions in Naatak’s 2017 Season. Though all seats are good seats in Cubbereley Theater, the seating location as seen in this image is the prime difference. 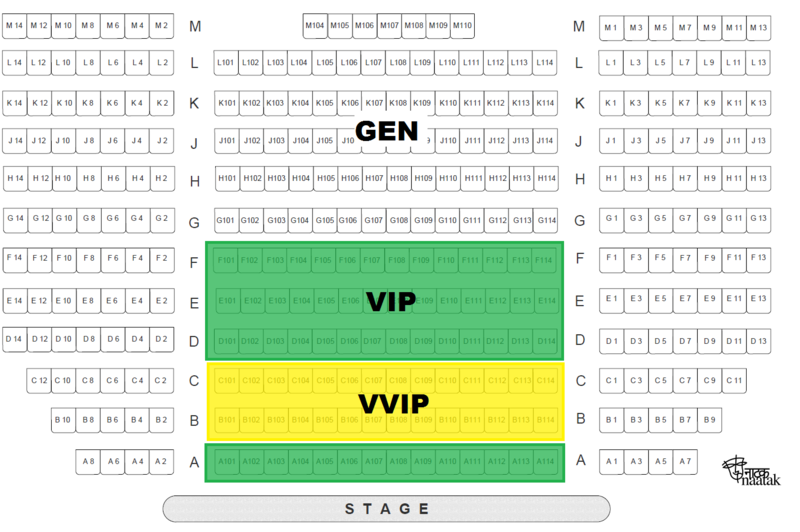 Rows #2 & #3 are assigned for VVIP seating, Rows #1, 4,5,6 are assigned for VIP seating and the rest are General seating.